Apply for graduation through myUTH. Select the "Academic Progress" tile and click on the "Apply for Graduation" link. Submit the Intent to Graduate Signature page via email to sphgraduation@uth.tmc.edu. The signature page is accessible after submitting the online Intent to Graduate form. Signatures are required from the student, the faculty advisor/chair and the supervisor (thesis or dissertation only). Pay the one-time $100.00 graduation fee through myUTH. The one-time graduation fee will appear on student accounts after the end of the previous semester and the myUTH application is submitted. Thesis and Dissertation only: Your proposal, including IRB approval, must be received by the last class day of the previous semester to be eligible for graduation. Visit the student research page for more information. Final submission of all remaining graduation forms, thesis or dissertation requirements including presentation, and completion of all clearances. View requirements by selecting the tab above that matches your degree and check your myUTH checklist (To Do List). Note: When a final deadline falls on Saturday or Sunday, thesis and dissertation requirements are due on the Friday prior to the deadline. Students enrolled in PHM 1496, PHM 1996, PHM 5096, PHM 9998 (not completing thesis), submit MPH Independent ILE Completion form and PDF of final product to sphstudentrecords@uth.tmc.edu. Apply for graduation through myUTH. Select the "Academic Progress" tile, and click on the "Apply for Graduation" link. Submit a hard copy of the Intent to Graduate Signature page via email to sphgraduation@uth.tmc.edu. The signature page is accessible after submitting the online Intent to Graduate form. Signatures are required from the student and the faculty advisor. Complete the online Intent to Graduate form. See "Deadlines" tab for date the link will open each semester. Graduating students are only required to have a current (most recent fall or spring) evaluation form on file. They are not required to participate in an evaluation meeting with their advisor, unless requested by the advisor. Our office reviews each graduation candidate's record for a current evaluation form. If one is not found, the item will appear on your myUTH checklist. Evaluation forms for graduating students should be turned in via email to sphgraduation@uth.tmc.edu. Submit a Degree-Seeking Graduate Certificate Completion form (if elected). Note: These were previously known as concentrations. If you elected one of the six approved degree-seeking graduate certificates offered by the UTHealth School of Public Health, submit the Degree-Seeking Graduate Certificate Completion form to Amanda Smithson via email to Amanda.K.Smithson@uth.tmc.edu or in RAS E201. Submit the MPH Independent ILE Completion form and PDF of final product to sphstudentrecords@uth.tmc.edu by the last day of class. The link will be sent to your UTHealth email approximately four weeks prior to deadline. Your feedback is very important to us! Your responses directly relate to our current and future practices at the UTHealth School of Public Health. All surveys are confidential, although we are able to determine who has and has not completed the exit survey. UTHealth HOOP Policy No. 148: "Identification badges are the property of the university and will be retained by the university when an individual terminates his or her employment, ceases to be enrolled, or otherwise ends his or her association with the university." Turn in ID badges and keys to Management Services, RAS W126. 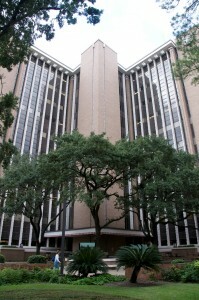 Students who are unable to return their badge because of loss or theft and did not obtain another badge, or who never owned a UTHealth badge, must submit an original copy of the School of Public Health Unreturned Badge form and pay the non-refundable $25.00 (cash only) unreturned badge fee. The form and fee should be turned in to the Office of Academic Affairs and Student Services in RAS E201. Students who need School of Public Health building access after graduation must send an email to sphgraduation@uth.tmc.edu with a reason relating to UTHealth employment, completion of course requirements, or continued enrollment in another School of Health program. If you are employed with UTHealth, you must indicate your position and last day of employment (no longer than the last day of the graduation month), and copy the supervisor in the department authorizing continued badge access. Coursework completion requests must include the last day of the course. Turn in badge and keys to the appropriate department on your campus. Academic clearance involves successful completion of all courses taken during the current semester and resolving courses with incomplete (I) grades or missing course requirements. For university clearance, students must clear ALL holds and to dos from their myUTH account. Each item is hyperlinked to a description of the item and instructions to clear it from the account. Submit your thesis proposal by the last class day of the previous semester. The signature page is accessible after submitting the online Intent to Graduate form. Signatures are required from the student, the faculty advisor and the supervisor. Graduating students are only required to have a current (most recent fall or spring) evaluation on file. They are not required to participate in an evaluation meeting with their advisor, unless requested by the advisor. Format WCE/thesis paper using the templates and checklist. Schedule, announce and complete presentation. Create a list of potential presentation dates. Contact your committee for their availability on the proposed presentation dates. All committee members must attend. Houston: Schedule a room in the Reuel A. Stallones (RAS) building by submitting a request through the room reservation system, Astra. Step-by-step instructions for submitting an RAS room request in the Astra system are available here. Austin, Brownsville, Dallas, El Paso, San Antonio: Contact your campus coordinators for assistance with room reservation on your campus. Presentations must be announced to the public by submitting the presentation information to the school newsletters (sphannounce@uth.tmc.edu). Announcements must be submitted in the proper format. Email a screenshot of your announcement in the school newsletter to sphstudentresearch@uth.tmc.edu. Discuss presentation structure and guidelines with your committee. Download submission instructions and the newsletter template here. Submit the Thesis Signature page in PDF form to sphstudentresearch@uth.tmc.edu. Forms can be signed with a digital ID or handwritten signature. The library will post your work to the TMC Library's Digital Commons repository, and you will receive an email confirmation once it is posted. The paper attached in PDF format. More people can locate and read your work. Open-access thesis and dissertations are cited more frequently than hard copies or online pay-per-access. You retain the copyright to your work while granting us the non-exclusive right to publish it. You will receive monthly reports letting you know how many times your thesis or dissertation was downloaded. For questions or assistance, contact the School of Public Health Library at sphlibrary@uth.tmc.edu. Submit iRIS Study Closure Report. Theses requiring IRB review under student's name only. Click on “My Studies" and open your dissertation study. Answer all questions and upload a copy of your abstract to the end of the report. Submit the report through iRIS. For assistance, please contact the iRIS Helpline at: 713-500-7960 or the student research team at: sphstudentresearch@uth.tmc.edu. Please Note: If your thesis did not require IRB review or if you were added to a UTHealth faculty member’s IRB protocol, then you do not need to complete an iRIS Study Closure Report. Submit the MPH Independent ILE Completion form to sphstudentrecords@uth.tmc.edu by the last day of class. The link will be sent to your UTHealth email approximately four weeks prior to the deadline. When a student has completed all submission steps for their thesis, student research will notify the student and the graduation team that they are clear for student research. Submit your dissertation proposal by the last class day of the previous semester. The signature page is accessible after submitting the online Intent to Graduate form. Signatures are required from the student, the faculty advisor/chair and the supervisor. Submit the Milestones Evaluation and Tracking form. Graduating doctoral students are only required to have a current (most recent fall or spring) Milestones Evaluation and Tracking form on file. They are not required to participate in an evaluation meeting with their advisor, unless requested by the advisor. Our office reviews each graduation candidate's record for a current Milestones Evaluation and Tracking form. If one is not found, the item will appear on your myUTH checklist. Format dissertation paper using the templates and checklist. Email a screenshot of the newsletter announcement to sphstudentresearch@uth.tmc.edu. Submit the Doctoral Dissertation Defense form. Doctoral students who started in fall 2011 or later and any doctoral students who took the Preliminary Exam must submit the Doctoral Dissertation Defense form to sphstudentresearch@uth.tmc.edu and copy sphstudentrecords@uth.tmc.edu. To save time in obtaining all of the signatures, take the form to your dissertation defense. Submit the Dissertation Signature page in PDF form to sphstudentresearch@uth.tmc.edu. Signatures can be signed with a digital ID or handwritten signature. The Office of Academic Affairs and Student Services will obtain the Dean’s signature after the signature page is submitted with all committee signatures. Dissertations requiring IRB review under student's name only. Log in to iRIS. Click on “My Studies.” Open your dissertation study. Sign off/submit the report through iRIS. For assistance, please contact the iRIS Helpline at 713-500-7960 or the student research team at sphstudentresearch@uth.tmc.edu. Please Note: If your dissertation did not require IRB review or if you were added to a UTHealth faculty member’s IRB protocol, then you do not need to complete an iRIS Study Closure Report. Once the form is submitted, our office is automatically notified and no further action is needed. Your feedback is very important to us! Your responses directly relate to our current and future practices at the UTHealth School of Public Health. All surveys are confidential, although we are able to determine who has and has not completed the survey. When a student has completed all submission steps for their dissertation, student research will notify the student and the graduation team that they are clear for student research. Your personal graduation checklist and current holds are viewable by logging in to myUTH. Click on "To Do List Items" or "Holds". Each item is a hyperlink that leads to a description of the requirement and instructions for completion. As documents are submitted and processed, they are removed from your checklist. Graduation candidates are expected to clear ALL To Do List items and holds from their myUTH account, prior to graduation. Your UTHealth school issued email (@uth.tmc.edu) is the only email our office will use to communicate graduation notices including missing items, degree audit information and any other information concerning your academic record. Remember to check it regularly to ensure you remain on track for graduation. If you need assistance, contact the UTHealth Help Desk helpdesk@uth.tmc.edu or 713-486-4848 Monday-Friday 7:00am-11:00pm, Saturday and Sunday 8:00am-5:00pm.